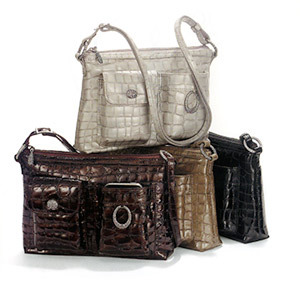 Outfit and accessorize with our extensive leather collection. If it’s made out of leather, we carry it! Carry your business cards, your cash, your loose change, your glasses, and your thoughts in our diverse selection of business card holders, coin purses, wallets for men and women, eyeglass holders, and leather bound journals. Huge selection of handbags, totes, modern-day messenger bags, briefcases—traditional box cases and 17-inch laptop cases, iPod cases, backpacks, and more. Choose the perfect gloves and hat—like a straw Shady Brady or a cold weather Mad Bomber®—to suit your style. Plus our selection of belts—men’s, women’s, and children’s, casual, formal, and custom made—is second to none, including brass belt buckles and hand-carved scrimshaw. 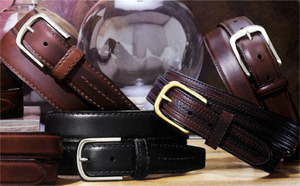 Bring in your favorite buckle, and we’ll customize a new strap with the perfect size and width. Travel smart and in-style with our garment bags, rolling duffels, and suitcases—all designed to fit nicely in overheard compartments. 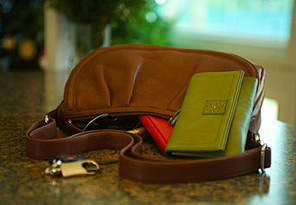 ©2012 Canterbury Leather. All rights reserved.